Established in 2006, nestled roadside by the entrance to Mallard Creek Golf Course in Columbia Station, Bootleggers Bar & Grille casts a nod to the days of prohibition where friends huddled in rustic cellars to enjoy the latest spirits trucked in by local Bootleggers. 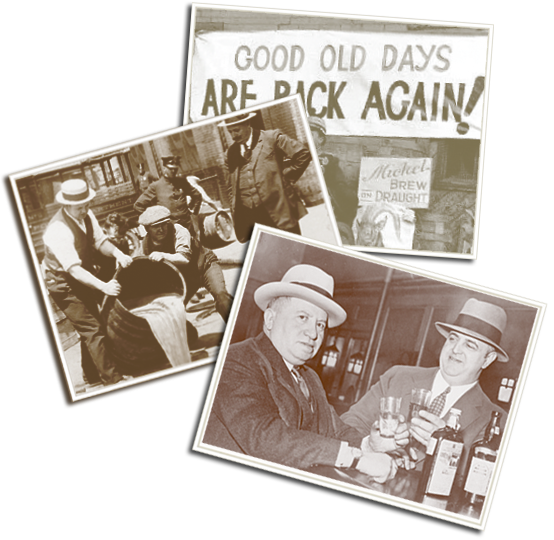 During Prohibition,the manufacture, transportation, import, export, and sale of alcoholic beverages were restricted or illegal. Prohibition was supposed to lower crime, corruption, and reduce social problems in America. Instead, Alcohol became the driving force that transformed the entertainment landscape in America. It gave birth to speakeasys and the Bootleggers, themselves, paved the way for automobile road races across the country.